This was to be my last supper. Or so, at least, I thought. I checked into the Absolute Sanctuary, which bills itself as “Thailand’s Premier Detox & Yoga Resort”, late in the afternoon. Located on a gentle hillside with a view of the ocean in the distance, the Koh Samui-based resort is a Moroccan-inspired boutique hotel with 38 rooms, a large infinity swimming pool and juice bar, an informal café serving vegetarian fare, a detox centre, a yoga centre, a spa, a cinema/conference room, a steam room, and wireless Internet access. But the real draws are the signature holistic health or wellness programmes, which run from three to seven days. Included are detox, rejuvenation, and yoga. I opted for the Ultimate Detox, a fasting programme that incorporates daily colon hydrotherapy sessions, a set schedule of detox drinks and supplements, one coconut juice per day, and unlimited amounts of clear vegetable broth and ginger and lime tea. Daily detox and/or Thai massages and various types of yoga were part of the package. I had an option to switch to another programme at any point. After unpacking, I headed to the Love Kitchen, where I ordered tomato gazpacho and vegetarian burritos – my last supper. OMG! This was the best gazpacho I had ever tasted. I’ve always associated health food with bland food. I didn’t know that that much flavour could be packed into a bowl of soup. 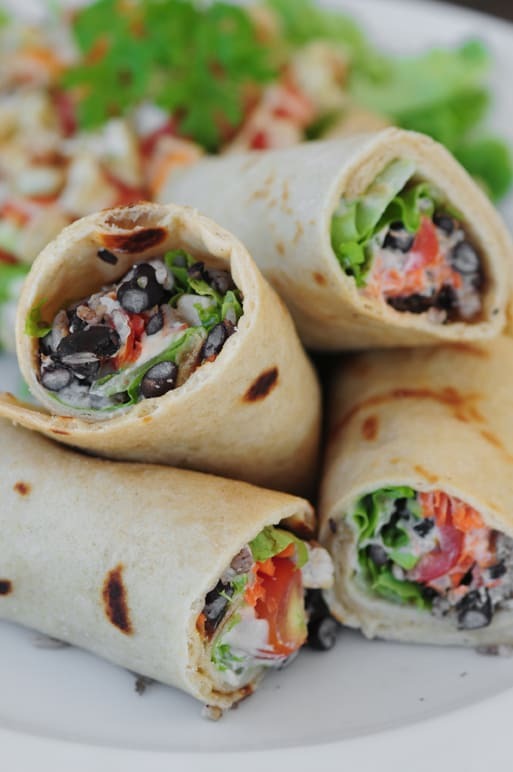 Then the black bean and brown rice burritos arrived. Unlike the greasy, flavorsome, and highly calorific burritos that I knew and loved when I was still living in California, these were light yet tasty. The creamy cashew nut “cheese” was to die for. With one bite … was this to be my new addiction? Knowing that I was in a smoke and alcohol free zone, I took the hotel shuttle into the nearby town of Chewang, which was awash with foreign tourists parading up and down the main drag, showing off their newly acquired tattoos, dreadlocks, and sun-damaged skin. The open-air restaurants and clubs were seething. Every few minutes, a colourfully decorated truck drove slowly by, with loudspeakers blasting, “Ladies and gentlemen, ladies and gentlemen, tonight only, tonight only, for the first time in Koh Samui . . .” The place had an unmistakable buzz . . . It was also in total contrast to the Absolute Sanctuary. There were innumerable shops selling everything from T-shirts to jewelry to sportswear. There were pharmacies selling all manner of suntan lotion and headache remedies, opticians, tailors, and massage parlours. There were even a few supermarkets and – will wonders never cease? – a couple of newsstands and bookshops for those of us with a literary bent. Armed with a paperback edition of “Little Angels” by Phra Peter Pannapadipo (see What’s I’m Reading to the right) and a bottle of cheap Californian wine, I boarded the shuttle and headed back to my hotel. I sat on the porch outside my room sipping wine and eating potato chips – my last indulgence – while reading my newly acquired tome. Before retiring for the night, I consumed a liver flush, ordered from the Love Kitchen, and took my two “gentle herbal laxatives” that would help “soften any matter in the digestive tract”. I quickly fell asleep and dreamed of brown rice and black bean burritos. Bonjour, Nice site! I greatly like the colors. The one problem that I have is that the feed arnt reading right in my reader.